This is a set of two JConcepts Carvers 2.2" Truck Front Tires, in Blue compound. 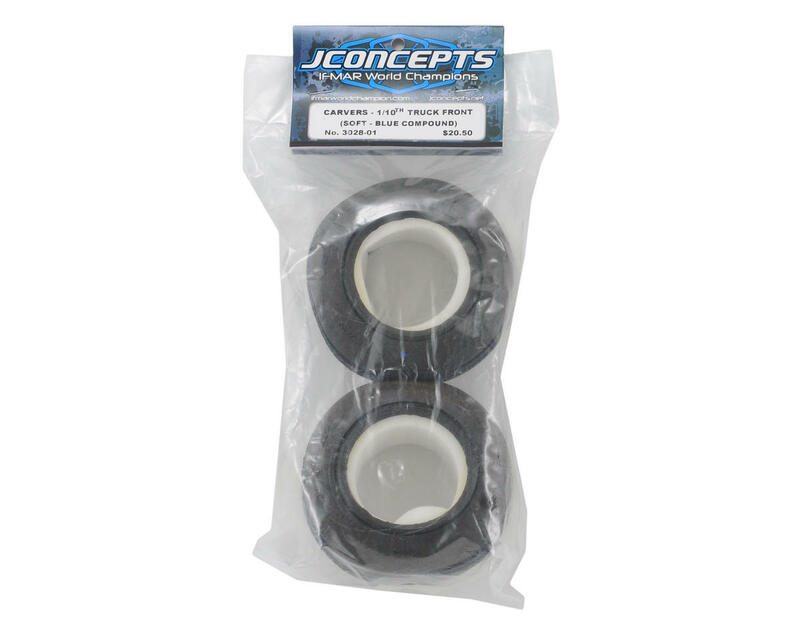 The JConcepts Carvers 1/10th truck front tire is perfect for a variety of track surfaces. The sharp angular and directional ribs provide the ultimate in control and direction on the most common dry and wet condition surfaces. The compact tire body combined with the JConcepts firm foam inserts allow for precise steering input and response for the most consistent laps times available. Carvers in new condition excel on low traction surfaces as well as high “loamy” traction wet surfaces where no rubber has been taken into the racing surface. Worn Carvers excel on indoor or outdoor clay tracks where a light blue groove has formed. 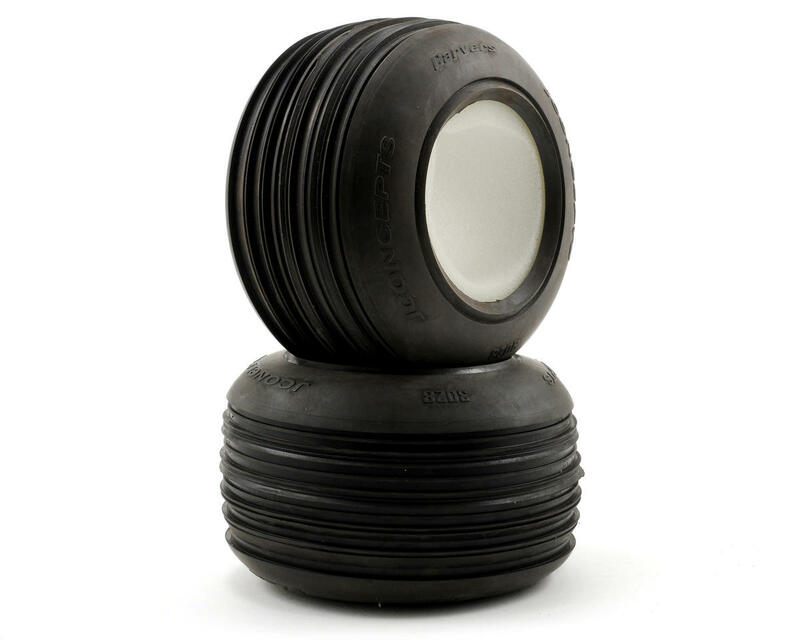 The Carvers are a highly detailed tire that can be mounted in more than one manner. It is recommended that they are mounted with the "V" shaped ribs to the inside of the wheel when running on a loamy condition track. This orientation will provide more overall steering. If the Carvers are mounted with the "/" angular ribs to the inside of the wheel, the tires will be more progressive and have less steering. This is recommended for blue groove type tracks or where less steering is desired. This information is based on extensive testing, but may not apply to every situation. Please try the tires mounted both ways to see which suits your driving style and local conditions.